By changing the first 6 rows on the left to what they are in this image, you can then access the Level select. In the level select you can change the place you begin at, the level of that section, the player, the combi partner, and if there are two players or not. The first avaliable character is Mighty, but the second character choice is a set of *******s.
By selecting this character choice, you get a character dubbed by the community as 'Wechina'. 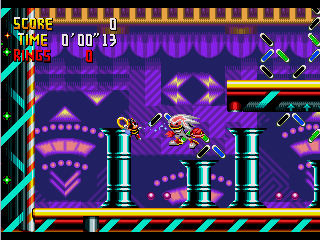 It uses a garbled selection of Knuckles sprites with Mighty's palette. He also uses Mighty's wall kick maneuver. 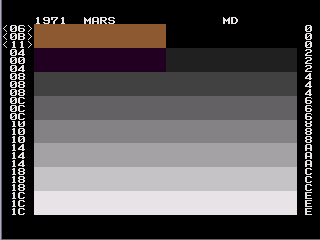 The animations are garbled and nothing like the final games. One explanation to this missing character is that he is actually Tails. With Mighty being the first character in the level select, and being a recolouration of Sonic, Tails would no doubt be second. 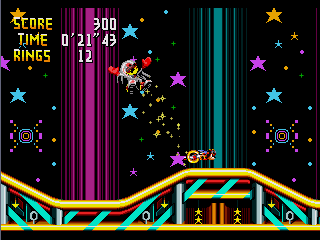 Both Sonic & Tails appear in the good ending as well. 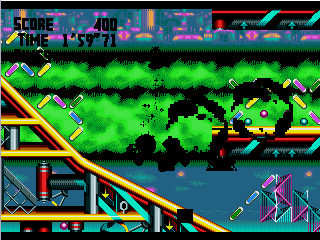 At some points getting certain items like shields will cause the game to lock up, with all the sprites turning black. If Wechina is taken into the special stages, his sprite is then turned into Mighty, ungarbled. 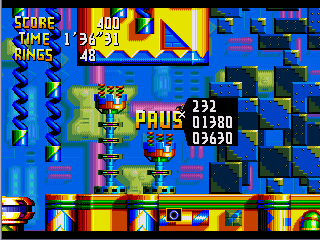 The level select also allows a debug mode to open. 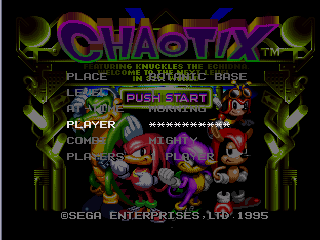 Similar to the one in Sonic Crackers, this one allows you to move anywhere when you pause the game. 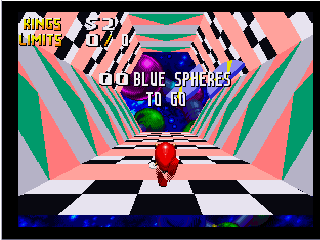 Coordinates are displayed by a black box next to the character, and doesn't muddle up the score and time like previous Sonic games.